In exchange for the time you took in telling us what you think about our products, we entered everyone in our lucky draw for an iPad mini with Retina display Wi-Fi 16GB. And so today is THE day! We’re happy to announce that Andy Watford from Simplisity Telecoms Ltd is the lucky winner of the iPad mini. Congrats, Andy! 🙂 We’ll send you an email on how and when the prize reaches you. “A great feature rich product that our cloud customers love…” Andy Watford, Simplisity Telecoms Ltd. Thank you all for taking up the challenge and for being part of our story. P.S. 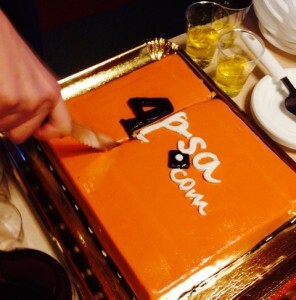 If you want to see how much we’ve grown in the past 12 years, check out 4PSA. The Movie.